The landscaping experts at Blooms Landcare in Fort Worth, TX provide purposeful and skillful tree trimming and pruning in order to keep your trees healthy and full. Trees can add lasting beauty to your landscape, but often their maintenance is overlooked. We offer a full range of tree trimming services at reasonable rates for homes and businesses throughout West Fort Worth. Why Do My Trees Need Tree Trimming or Pruning? Many property owners aren’t aware of the importance of tree trimming and pruning. Performing regular maintenance keeps your trees strong and healthy. 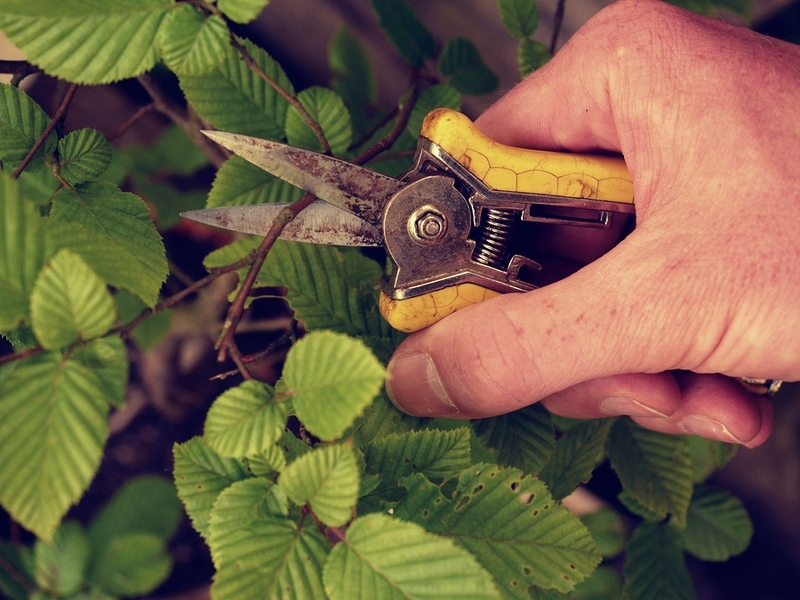 Pruning improves the aesthetics of an entire property by keeping the trees clean and uniform. If you do not perform regular tree trimming, the growing branches can damage fencing, buildings, or nearby power lines. This can be a serious fire hazard for your home or business. If you neglect to maintain a tree that grows near your roof, you can even have your homeowner’s insurance claim denied. Trees add incredible shape, beauty, and color to your property, but proper maintenance is key to keeping your plants healthy and your home or business in good condition. Trees planted in the right spot will thrive for a long, long time. However, even under the best conditions, they can sometimes grow out of control and damage surrounding structures and landscaping. If left too long, lengthy branches may scrape the tiles of your roof, causing costly damage. To prevent this, have your trees trimmed before the growth gets out of hand. Often, the most troublesome branches are also hard to reach. You could, conceivably, climb the tree; however, this is a fairly hazardous method of tree trimming. We recommend using an extension saw instead. Extension saw tree trimming will remove all troublesome branches before they do any damage to your property. It takes a careful hand and keen eye to keep your tree safe during the trimming process. At Blooms Landcare, we have the right tools and training for any tree trimming job. We want your trees to remain robust and healthy. To ensure that your yard looks as attractive as possible, you should occasionally get your trees trimmed and pruned. In addition to improving the tree’s appearance, trimming can remove any dead limbs that pose a hazard to your family. Because you only trim your trees on occasion, you might not know the total cost for tree trimming. This cost may vary depending on a variety of factors, including your service provider, the size of the tree, and the length of the job. At Blooms Landcare, we guarantee affordable, competitive prices for all tree trimming services. Our experienced team will produce a detailed quote for our services before we begin any work. We want you to understand all the involved costs. We cannot recommend do-it-yourself tree-trimming methods, as these may put you in grave danger. As homeowners, we often look for new and innovative ways to care for our lawn. Lawn care, despite what many believe, does include trees and shrubbery. That’s why you should know when to trim trees. The particular type of pruning changes depending on the type of tree. For example, a conifer should be pruned during winter while fully dormant. A spring-blooming tree, on the other hand, should be pruned immediately after it begins to bloom. When is the necessary time for tree trimming? You need to know when to prune your trees. Why? Because you can vastly improve the health of your trees by removing dead or damaged branches. You should immediately remove majorly damaged branches. You should do routine tree trimming, however, in either early spring or late winter. You always want to trim your trees just before the tree’s buds have begun to open. Do you have further questions about when to trim your trees? Our team of skilled landscaping pros at Blooms Landcare is here to help! Call us today at 817-688-5352 to find out more. Call our experienced landscapers in Fort Worth, TX for assistance with your tree trimming and pruning today. For more information, contact Blooms Landcare at (817) 688-5352, or fill out our online form to schedule an appointment.